Година: 2015 14 x 42 мин. A serious car crash results in two teens and a young pregnant woman arriving at the hospital, pushing the night shift members to their limit. Meanwhile, Paul tends to a quirky, wealthy hospital benefactor. An injured skydiver is rescued, but there\'s more to the case than meets the eye. 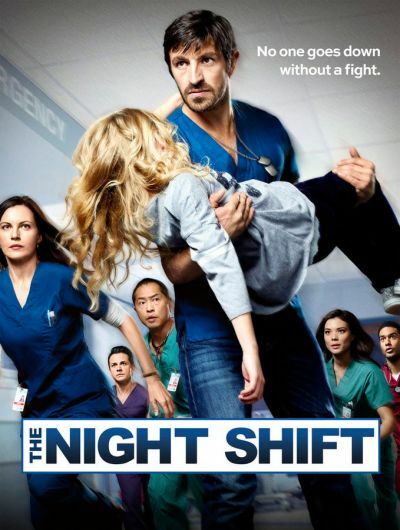 Meanwhile, the night-shift staffers treat an electrocuted janitor, then scramble to save his wife and children when they fall ill to life-threatening symptoms; and Paul learns about his limitations as a doctor. A patient arrives with radiation poisoning, spinning the night shift into chaos and putting it into lockdown. Meanwhile, staffers speed to a serious car crash, where they discover an injured police officer, TC\'s troubled sister-in-law visits, and a former patient harasses Jordan. As a thick fog descends upon San Antonio, the doctors must improvise to save the victims of a car crash; Topher, Drew and Kenny treat siblings injured in the fog. T.C. discovers his sister-in-law\'s complicated history after he treats her for a fall down stairs. Drew takes action when a gunman attacks at a friend\'s promotion ceremony. Jordan and Krista offer roadside assistance to a motorcycle crash victim. A building collapses during a rodeo; a severely injured cowboy exhibits strange symptoms; Scott causes a serious car accident. A boy is suffering with a serious fever and his high-strung mother begins to show signs of distress. T.C. and Topher return to find Jordan in critical condition and San Antonio terrorized by snipers; Drew and Gwen get caught in the crossfire when a SWAT team corners the snipers.